And stir fry garlic, green onion and chili pepper for 1 minute until aroma. 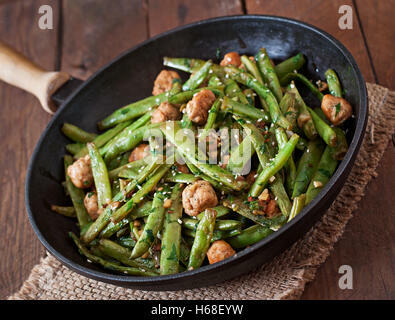 Return eggplants and green beans with soy sauce and pinch of salt. Combine well. 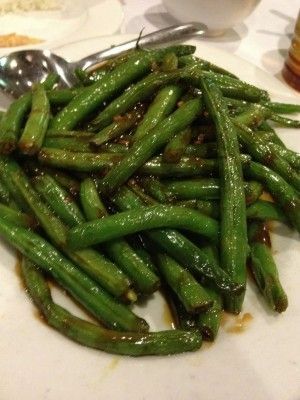 Return eggplants and green beans with soy sauce and pinch of salt.